When you're conducting a survey, collecting the data is only Step One. Step Two is presenting your survey results in a way that won't bore your audience to tears. You know by now that infographics are an engaging way to present information. But maybe you aren't sure how to go about visualizing certain types of survey data. This guide will answer your questions. Building online forms can be difficult. Our form designer can help you create contact forms, online surveys and invitations so that you can collect the data, registrations and payments you need. Wufoo has the features you love - our form builder gives you an award-winning interface, easy customisation, galleries, templates and reporting! What do you want to know? Put your curiosity to work and get answers with the world’s #1 online survey software. Know the score with your customers. Keep a competitive edge by truly understanding the voice of your customers. Customer satisfaction surveys help you connect at multiple touchpoints to find out exactly what your customers want, need, and expect. Talk to the people who matter to you. Tap into what the world is thinking—whenever you want. Market research surveys make it easy to get opinions from potential and existing customers, test concepts, measure brand awareness, and more. 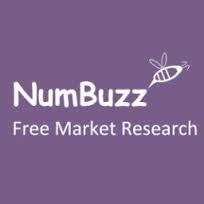 At NumBuzz, our aim is to provide free market research for entrepreneurs, start-ups, students, small businesses and anyone else who needs free market research. You have your idea. Turning it into a business requires some research, followed by a straightforward exercise in building that research into a plan. Failing to research your market could mean that you run the risk if spending time and money on developing your business only to find that there is no demand. 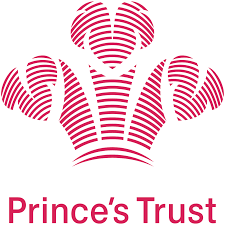 Make sure you talk to your potential customers (not just friends & family), do some mystery shopping on your competitors, research the number of customers and your price point and the industry in general.Don’t forget to ask opinions on the business name and the logo; the feedback here can be invaluable. You can source primary, or firsthand, data by conducting a survey or posing questions on social media. Of course, you can also hit the high street with a clipboard.